The Nancy Hanks Memorial Award for Professional Excellence honors outstanding work by a museum professional with less than ten years in the field. It recognizes a specific achievement or body of work that has benefited either the honoree’s home institution or the museum field in general. The honoree’s work may be in any area of museum operations (administration, collections management, community engagement, curation, development, exhibitions, education, human resources, public relations, registration, etc.). 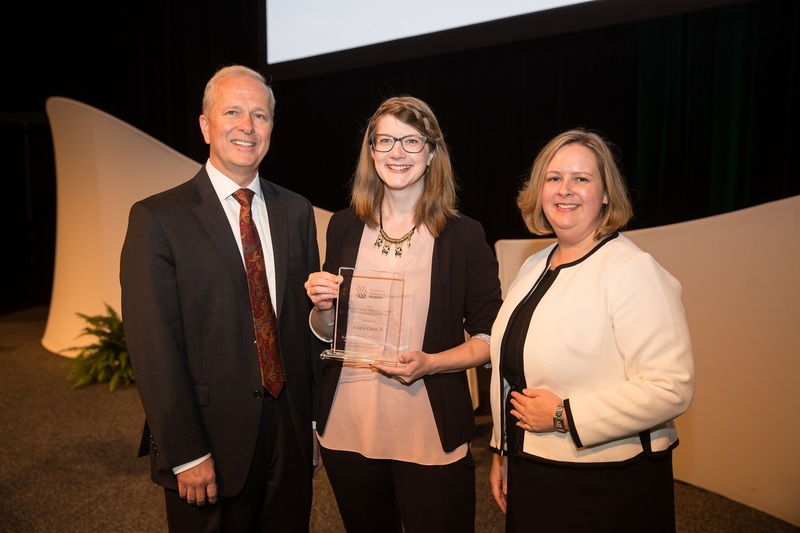 Recent award winners have been recognized for harnessing social media to excite and engage audiences about museums’ work, significantly growing their institutions’ membership programs, designing innovative learning environments, and transforming their museums into vibrant community hubs. The award carries a $1,000 stipend to be used in furtherance of the honoree’s professional development. It is typically presented at the AAM Annual Meeting. First given in 1985, the award commemorates the late Nancy Hanks’ lifelong support of cultural endeavors, and in particular her encouragement of young professionals. Hanks served eight years as chair of the National Endowment of the Arts, among other accomplishments. If you know someone with less than 10 years’ experience who’s having a major impact in their museum or in the field, nominate them to be considered for the Nancy Hanks Memorial Award. Individuals cannot self-nominate for the Nancy Hanks Memorial Award for Professional Excellence. The above factors are considered in relation to the nominee’s length of time in the museum field and current position and responsibilities.